This is our 3D layered design the time is a hand painted custom dog wooden door or wall hanger. 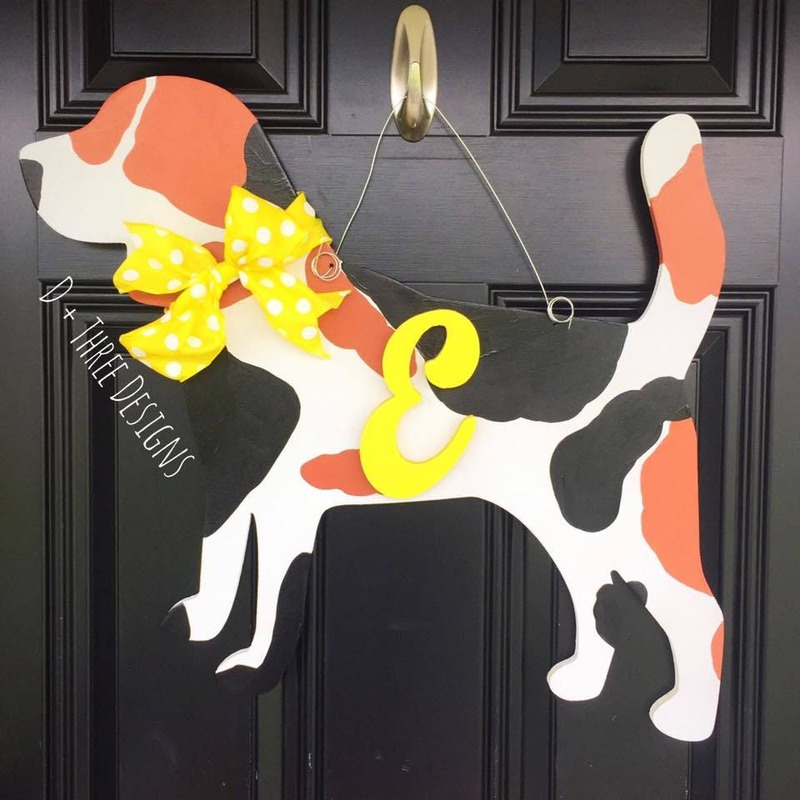 We make all kinds of dog door hangers and wall decor. We even add a monogram to the door hanger! Let us know what dog breed, colors, monogram letter and color you need in the notes to seller box upon check out.